Zebra Barcode label printers print high quality bar-coded labels on a variety of media including paper and synthetic materials. Some printers can also program RFiD chips (or "smart labels"). 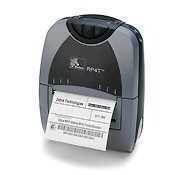 Zebra barcode printers are used in many barcoding applications such as Records Management software. Zebra offer an extensive range of speciality printers, including barcode label printers, mobile barcode printers, RFID printers/encoders and card printers. Zebra offers a range of different printer lines to meet the needs of any user. 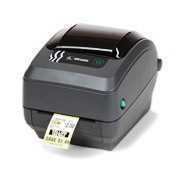 Zebra barcode printers vary from the industrial-duty Xi Series, to the Desktop line, suitable for any office desktop. Whatever your printing needs, you will find your bar code printing solution here. 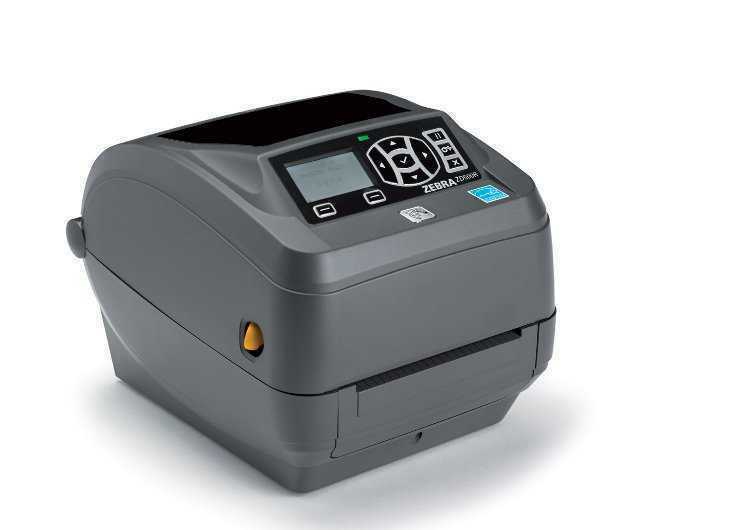 The easy-to-carry Zebra mobile printers enables you to print bar code labels and documents up to 4" wide where and when you need them—resulting in enhanced data and asset-tracking accuracy and improved workforce efficiency. Direct Thermal printers print on to heat sensitive paper, a printer ribbon is therefore not required. Note that printing may fade if exposed to other heat sources such as direct sunlight or heating appliances. Thermal transfer printers use the same basic technology as direct thermal printers, but with the elimination of chemically-coated media material in favour of non-sensitised labels and a durable, polyester ribbon film coated with a dry thermal transfer ink. Zebra's line of specialty ribbons and media supplies encompass a wide variety of paper and synthetic materials, from tear-proof Tyvek to UL Recognised polyester and scratch resistant Z-Ultimate labels. Zebra supplies, when combined with the superb printing capabilities of the Zebra printers, produce consistently durable labels, tags and tickets for all your marking and tracking needs. RFID stands for Radio Frequency IDentification. It is an automatic identification technology whereby digital data encoded in an RFID tag or “smart label” is captured by a reader using radio waves. Put simply, RFID is similar to bar code technology but uses radio waves to capture data from labels (tags), rather than optically scanning the bar codes on a label. RFID does not require the tag or label to be seen to read its stored data, but of course a label with a barcode may be printed. 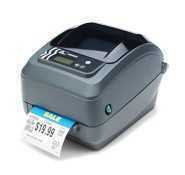 Zebra barcode printers are suitable for use with Alliance PaperChase records management.